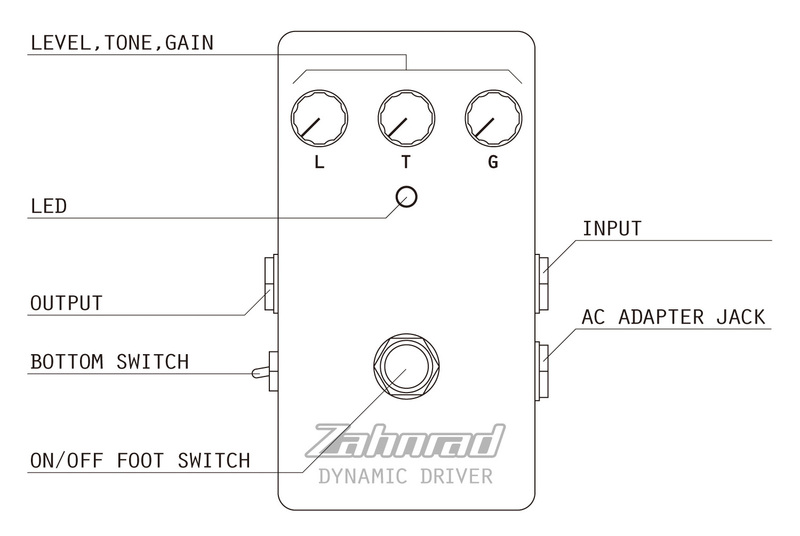 We announce Nature Sound starts a new production line “Zahnrad” and its first model “ZDD (Zahnrad Dynamic Driver)”. 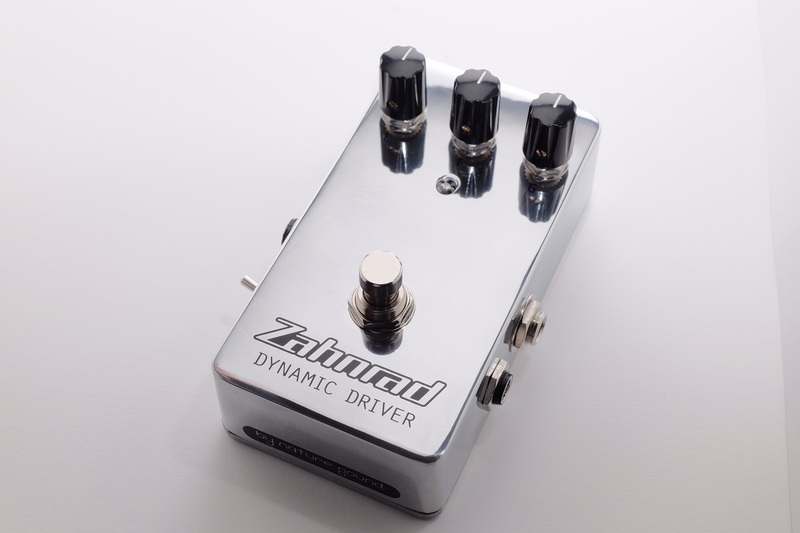 It is a great over drive pedal based on the historical iconic pedal. We focused on to capture the sound of your guitar perfectly and to process with true musical taste. Meekness is the key feature to achieve this highly difficult point and also brings a great flexibility to whatever you play. We select some vintage parts for the critical part based on the knowledge obtained through the production of the nature sound effectors. These vintage parts bring you some vintage feel mixed with modernity. You can feel true killer tone through ZDD. In its heart, we chose MUSES8920 in operational amplifier section. Its high-fi and tractable character, make your sound tight and bold. And also, ZDD is assembled with NOS Telefunken diodes and Eromet condensers. These brings you more musical feeling on your play. 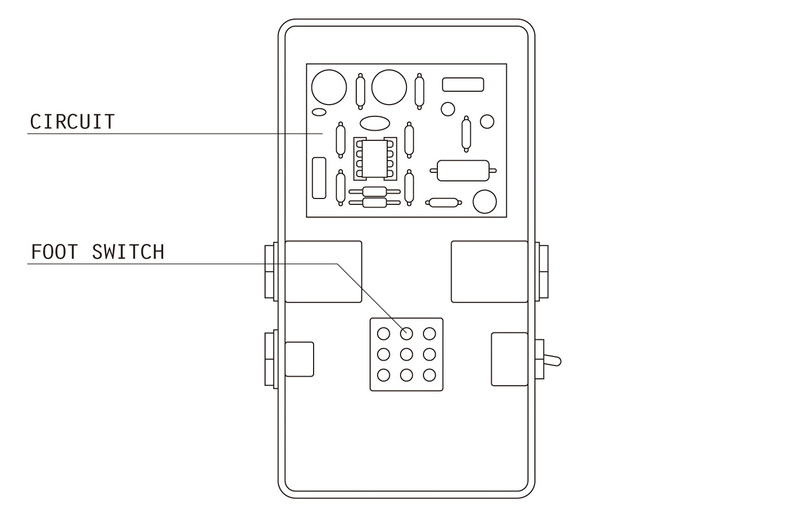 We added a killer function, “bottom switch” on ZDD. It raises some low frequency a little bit. It is tuned to suit especially Strat-Style rear pick up sounding more cool and solid. 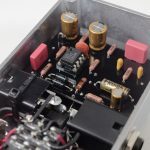 Push up your AMP vol. a few more twist to get more bottom from your cabinet and then, please sit back and relax on your feedback. ZDD adds just right amount of juicy low-mid. It makes more easy to control the feedback and brings you on top of cloud nine. 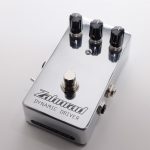 The touch of overdrive sound of ZDD fits wide range of guitar style but especially for you favor dry and edgy drive that you can hear in good ol’ Hard-Rock. We use 50’ Les Paul Conversion in this clip. We do not use any effector in post-production phase. Les Paul, ZDD and AMP. That is all. 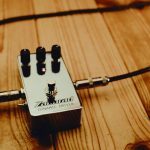 So that you can hear true vintage sound and how ZDD is not only modern. We use Stratocaster in another clip. 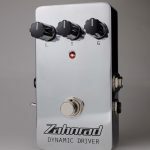 You can hear the characteristic sound with rich and full low-mid controlled with tone pot of the guitar while the tone knob of ZDD stays full up. Hi-fi operation amplifier brings this tolerance tonal variety. ZDD has only three knobs but it has so many colors in its tiny box.